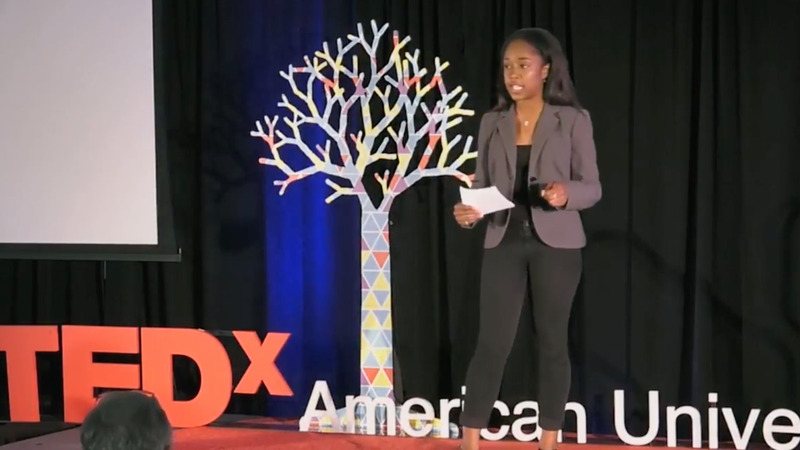 When Taylor Dumpson became the first black student body president at American University, she also became the target of neo-Nazi trolls who made her life a living hell. Now she’s repaying the favor. CNN reports that Dumpson has filed a federal lawsuit against Andrew Anglin, the founder and publisher of the Daily Stormer, a website for inadequate Mayo sapiens seeking to demonstrate their racial superiority by harassment, violent threats and misspelled simple words. After Dumpson was elected in 2017, Anglin, whose accolades include a second-place finish in The Root’s inaugural Wypipo Tournament, logged onto the Daily Stormer and urged its readers to troll black AU students and Dumpson and her sorority, Alpha Kappa Alpha, specifically. Some racists have taken to calling this African Queen ‘Dumpy Dumpson,’ smdh ... Be sure to send her some words of support on Facebook, and hit up the AU Student Government on Twitter. Let her know that you fully support her struggle against bananas. Filed in part by the Lawyers’ Committee for Civil Rights Under Law, Dumpson’s lawsuit accuses Anglin of incitement of intentional infliction of emotional distress and/or conspiracy to do so; interfering with her right to equal opportunity to education; and bias-related incitement or conspiracy to commit stalking. The legal action says that Anglin’s “history of using the platform to incite his followers to hatefully ‘troll’ racial and religious minorities in order to inflict harm against them” left her with post-traumatic stress disorder and caused intense trauma that affected her academics. Dumpson seeks punitive damages along with measures forcing Anglin to go to racial-sensitivity training. She also asks the court to force Anglin and his website to stop using her name and likeness. Since 2017, Anglin has been on the run, hiding from another lawsuit filed by Tanya Gersh, a Jewish real estate agent who received the same treatment as Dumpson after she became entangled in a feud with the mother of another white nationalist, Richard Spencer. The 2017 World Wypipo Tournament, Final Round: Who Is the Worst of the Worst?